Sri Lanka Security and LEGAL - Latest Hot News from Sri Lanka by Lankapage.com. Apr 23 (Reuters) COLOMBO- Sri Lankan intelligence officials were tipped off about an imminent attack by Islamist militants hours before a series of suicide bombings killed more than 300 people on Easter Sunday, three sources with direct knowledge of the matter said. Apr 23 (CP) Colombo- Two vehicles suspected to have laden with bombs have entered the Colombo city, intelligence units have revealed. The intelligence report sent by the Seethawaka Pura Superintendent of Police identified the two vehicles as a light blue sedan with plate number 15 - 0316 and a white car with plate no. CBF 1668. 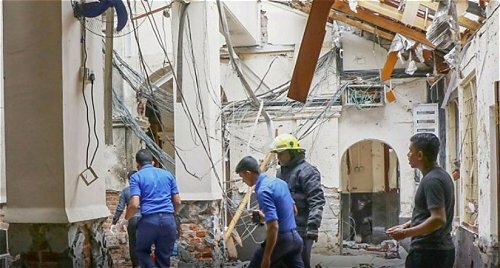 Apr 23 (CNA) COLOMBO- Two brothers carried out two of the hotel suicide blasts in Sri Lanka on Easter Sunday, part of a wave of bombings that killed more than 320 people, police sources told AFP Tuesday (Apr 23). Apr 23 (CP) Colombo- The United States has warned American citizens traveling to Sri Lanka to exercise increased caution due to possible terrorist attacks following Easter Sunday bomb attacks on churches and five -star hotels in Colombo. Apr 24 (DM) The government is reported to have re-introduced another wartime measure such as the setting up of security committees at district levels in the aftermath of the series of bombings that killed 321 people and wounded some 500. 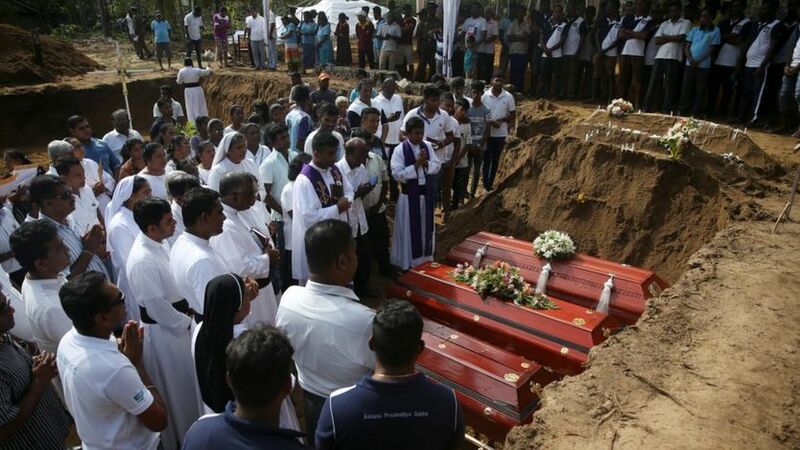 Apr 23 (BBC) The first mass funeral has begun in Sri Lanka as the country marks a day of mourning for the victims of Sunday's bomb blasts. The death toll of the attacks on churches and hotels has increased to 310, police said on Tuesday. Apr 23 (CP) Colombo- After claiming responsibility for the Easter Sunday bomb attacks in Sri Lanka that killed over 320 people, the Islamic State (ISIS) has released a photo and a video of the mastermind of the attack and other suicide bombers. 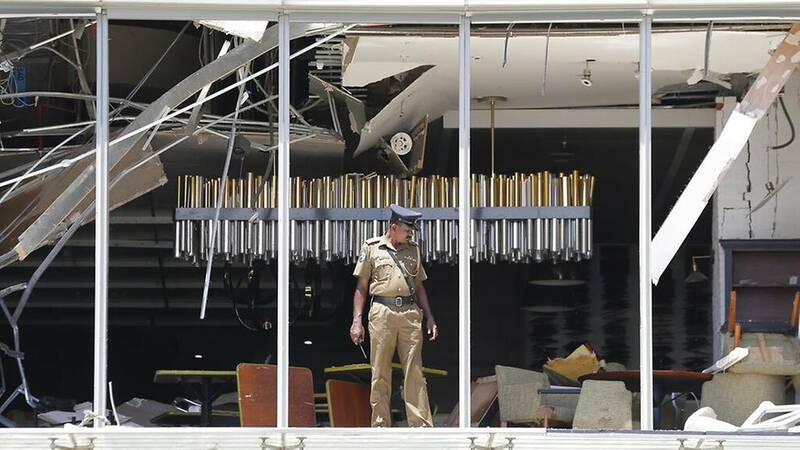 Apr 23, Colombo: Islamic state has claimed responsibility for coordinated bombings in Sri Lanka which killed 321 people and injured about 500 others, the group's AMAQ news agency said on Tuesday, Reuters reported. Apr 23 (CP) Colombo- The death toll from multiple bomb explosions that targeted churches and luxury hotels on Easter Sunday rose to 310 with some of the injured at hospitals succumbing to their injuries overnight. Around 500 people were wounded in the blasts, and some of them are still receiving treatments at hospitals. Apr 24 (Island) The State intelligence agencies had gathered information about 160 National Thowheed Jamath members who had been trained by terrorists, but it had not been possible to arrest them as there had been no orders from higher authorities, according to sources. 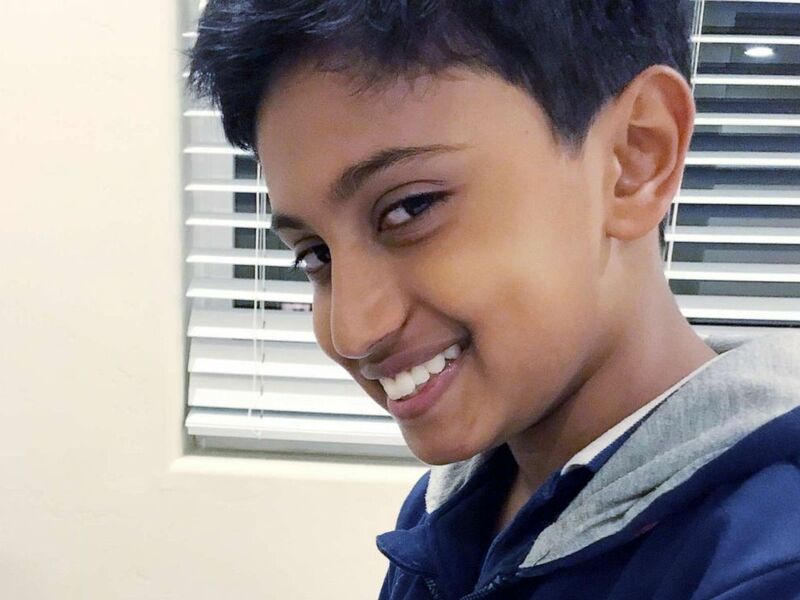 An 11-year-old Washington, D.C., boy was among at least four American citizens who were killed in a series of terrorist attacks at churches and hotels in Sri Lanka on Easter Sunday. Apr 23 (ZH) One of the grandsons of Awami League Presidium member Sheikh Fazlul Karim Selim � the cousin of current Bangladeshi Prime Minister Sheikh Hasina, Zayan Chowdhury has been killed in one of the bomb blasts in Sri Lanka on April 21, 2019.